From Robert De Niro, Billy Joel to Lady Gaga, these celebrities have come out to say "I'm With Her." Take a look at which stars have voiced their support for Democratic presidential candidate Hillary Clinton. 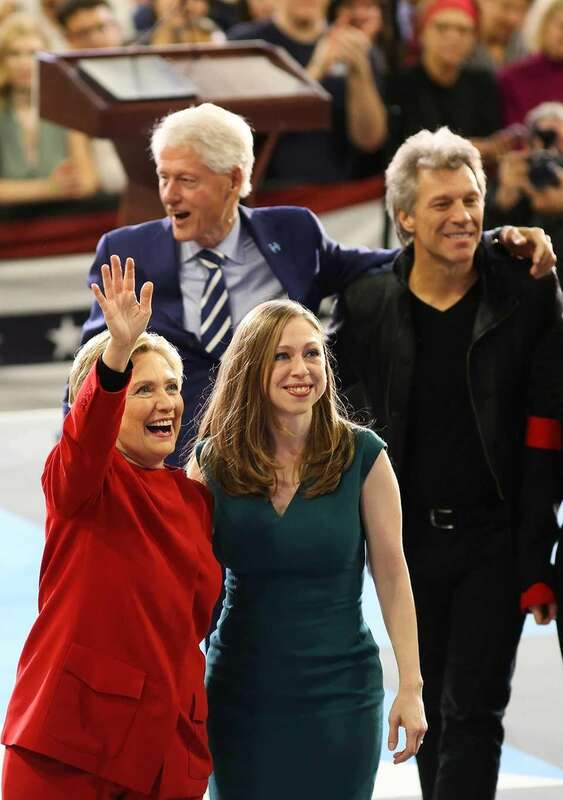 Hillary Clinton, Chelsea Clinton, Bill Clinton, and singer Jon Bon Jovi at the Reynolds Coliseum on the campus of North Carolina State University for the final campaign stop in Raleigh, North Carolina, on Nov. 7, 2016. 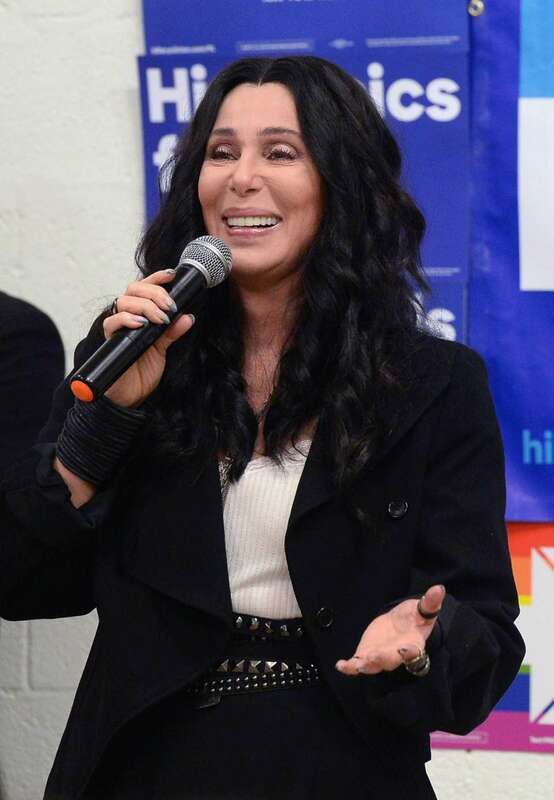 Singer Cher campaigns for Hillary Clinton on Nov. 7, 2016 in Miami, Florida. United States first lady Michelle Obama greets supporters during a campaign event at the Lawrence Joel Veterans Memorial Coliseum Oct. 27, 2016 in Winston-Salem, North Carolina. Singer John Legend and wife Chrissy Teigen, speak at a campaign event at The Springs Preserve on Oct. 4, 2016 in Las Vegas, Nevada campaigning for Democratic presidential nominee Hillary Clinton. 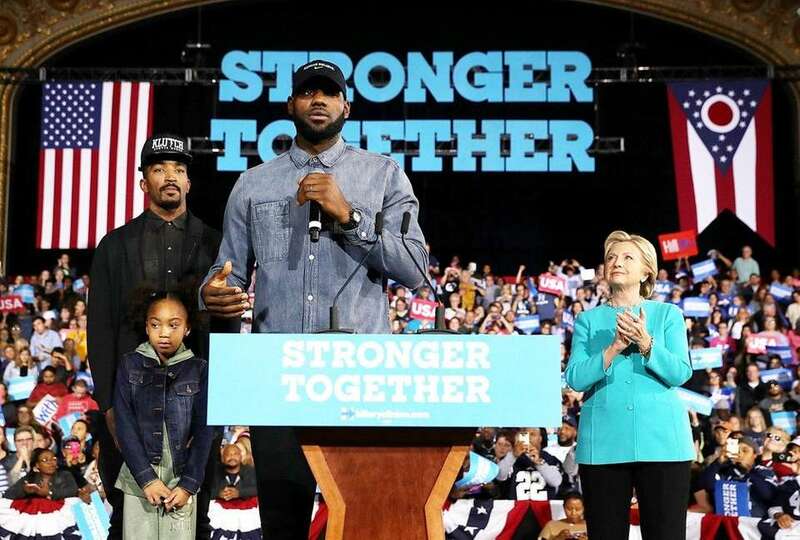 LeBron James speaks during a Hillary Clinton campaign rally in Cleveland, Ohio, on Sunday, Nov. 6, 2016. 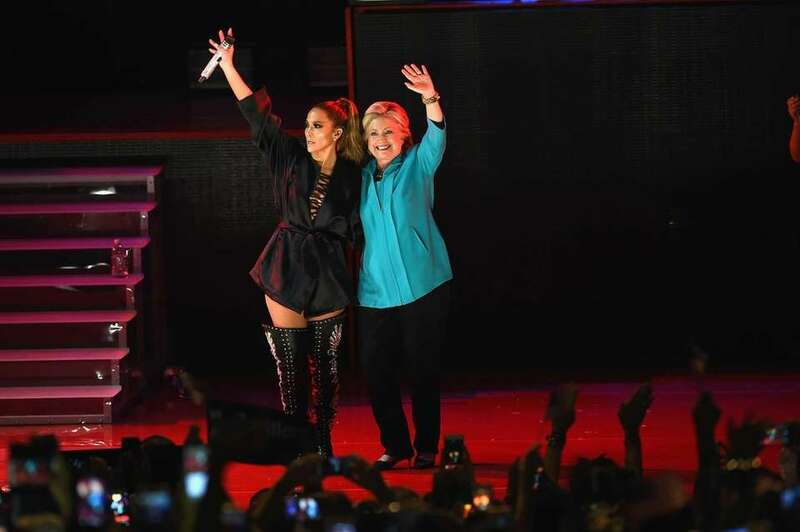 Jennifer Lopez, and Hillary Clinton are seen on stage together at the Jennifer Lopez Gets Loud for Hillary Clinton concert on Oct.29, 2016 in Miami, Florida. 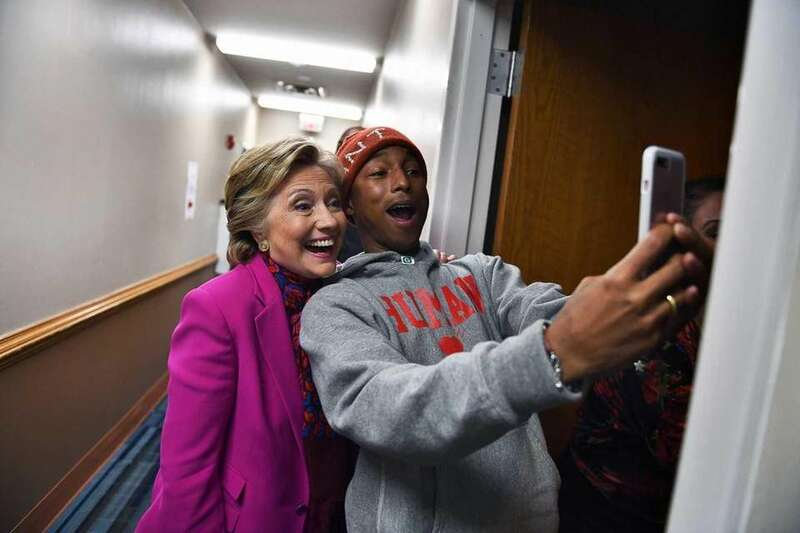 Singer Pharrell Williams and Democratic nominee Hillary Clinton take a selfie backstage at a campaign rally in Raleigh, North Carolina, on Nov. 3, 2016. 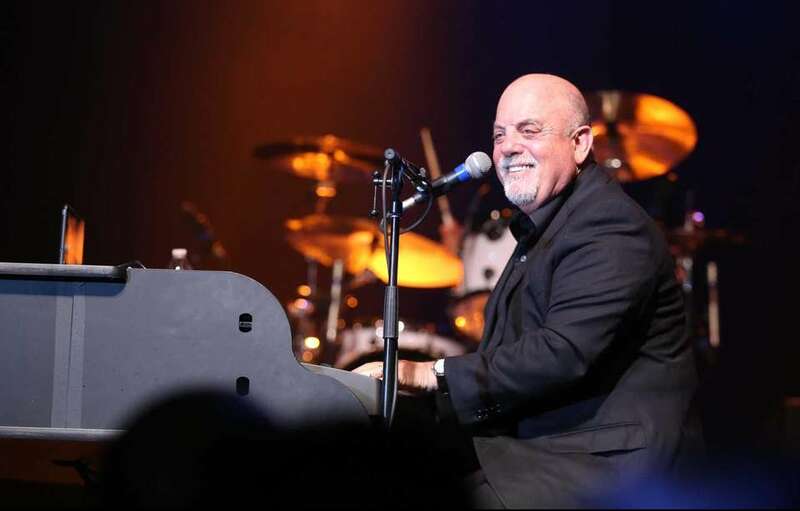 The Piano Man refrained from publicly endorsing his preferred candidate until just a few days before the 2016 election. Through an email from his publicist, Joel told the Daily News he plans to vote for Clinton, adding, "I have no desire to influence anyone to think as I do," according to an article published Saturday, Nov. 5. 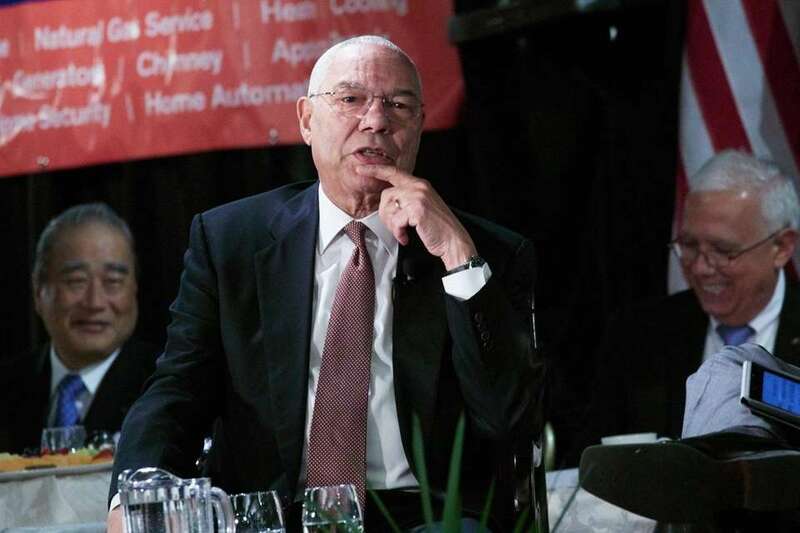 Former U.S. Secretary of State Colin Powell said he will vote for Democrat Hillary Clinton for president during his speech at a Long Island Association luncheon in Woodbury on Tuesday, Oct. 25, 2016. GOP nominee Donald Trump is "not qualified," he said. 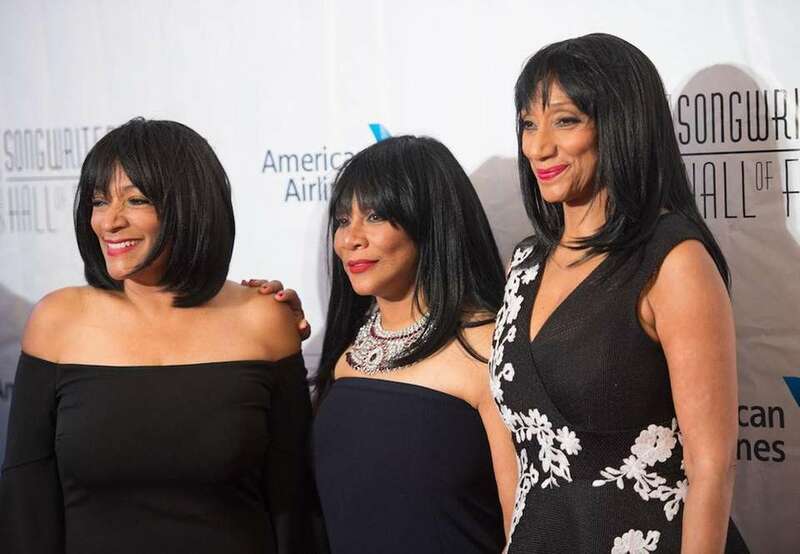 Iconic '70s girls band Sister Sledge -- composed of Joni, Debbie and Kim Sledge -- are with Her. 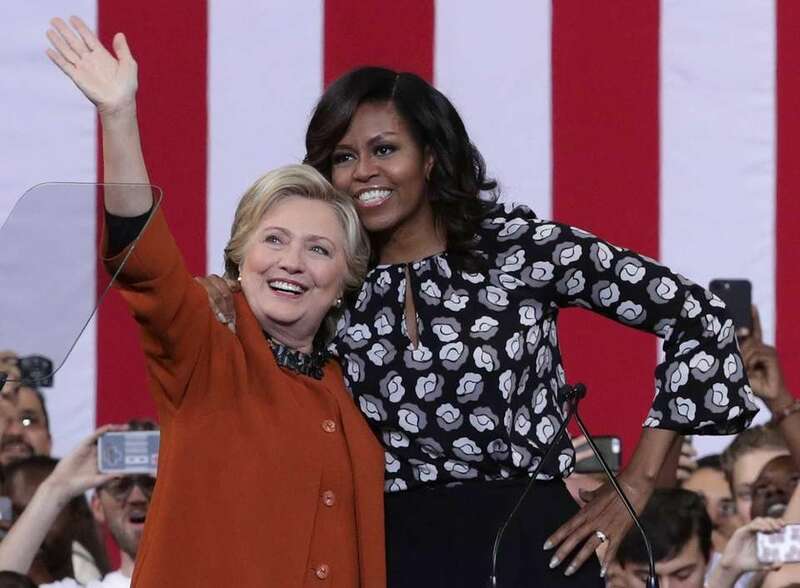 According to the group's rep, the sisters "are launching a campaign anthem and broader campaign narrative, 'We Are America' [which] intends to spotlight Ms. Clinton's incredible feats, not only in her position as an incredible stateswoman but also as an empowered woman." 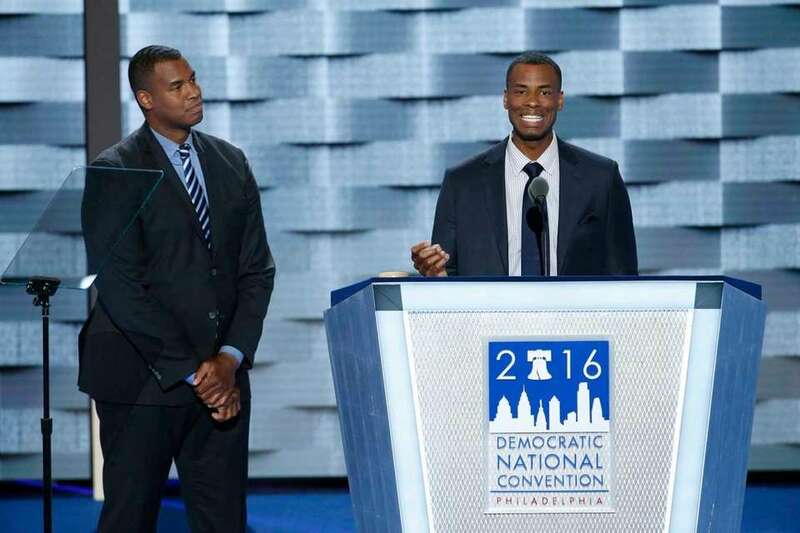 From right, Jarron Collins and Jason Collins, both former professional basketball players, spoke in support of Hillary Clinton at the Democratic National Convention in Philadelphia on Monday, July 25, 2016. Jason Collins, the first openly gay athlete in a major American sport, said, "this November, we must elect Hillary Clinton as our next president." 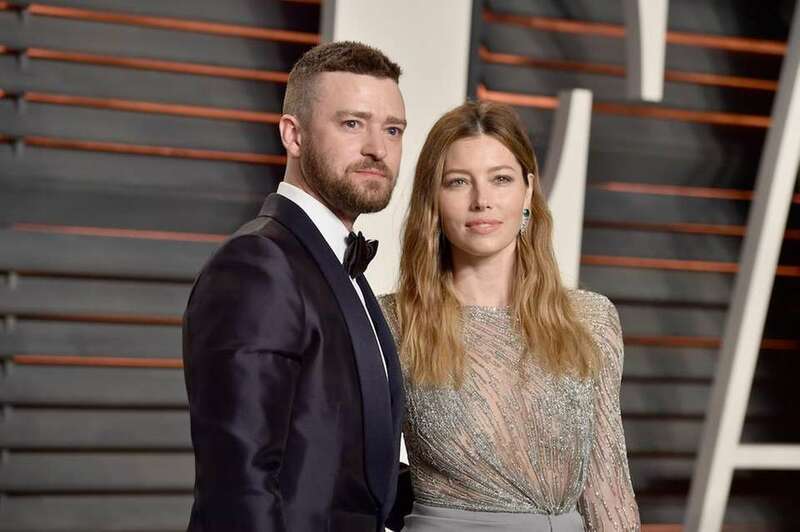 Justin Timberlake and Jessica Biel hosted a Clinton fundraiser with A-list celebrities in the August 2016. Demi Lovato joined Hillary Clinton's campaign trail when she traveled to Iowa during the primaries and has been a vocal supporter since, according to ABC News. Later, Lovato shared a letter Clinton had sent her after the GLAAD Media Awards, writing on Instagram "Just before the #glaadawards Saturday I got this amazing and thoughtful message from an equally amazing woman, @HillaryClinton. I'm so humbled that she has my back as I have hers ... #ImWithHer" Lovato appeared on the first night of the Democratic National Convention in Philadelphia on Monday, July 25, 2016 to speak about her struggles with mental health and perform her song "Confident." Amy Schumer endorsed Hillary Clinton on social media with a photo of the two on "The Ellen Show" and a caption that reads, "#imwithher rememeber [sic] what thumper said everyone." According to Bustle, Schumer was referring to Thumper, the character from "Bambi" and his memorable quote: "If you can't say something nice, don't say nothing at all." 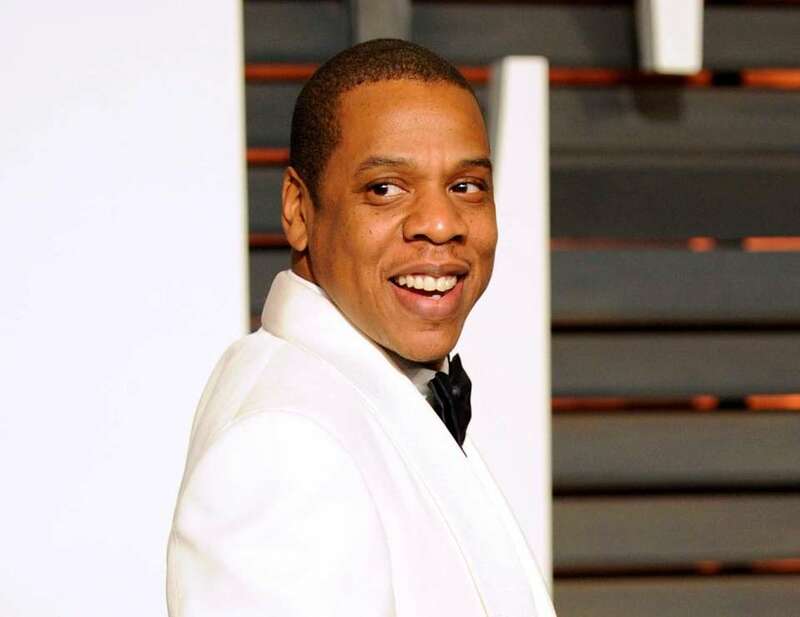 Jay Z is planning to hold a free concert in Cleveland to encourage people to vote for Democrat Hillary Clinton for president. Comedian/actress Sarah Silverman, a Bernie Sanders supporter, said onstage at the Democratic National Convention in Philadelphia on Monday, July 25, 2016, that said she would now vote for Hillary Clinton "with gusto" as she continues to be "inspired and moved to action by the ideals set forth by Bernie, who will never stop fighting for us." 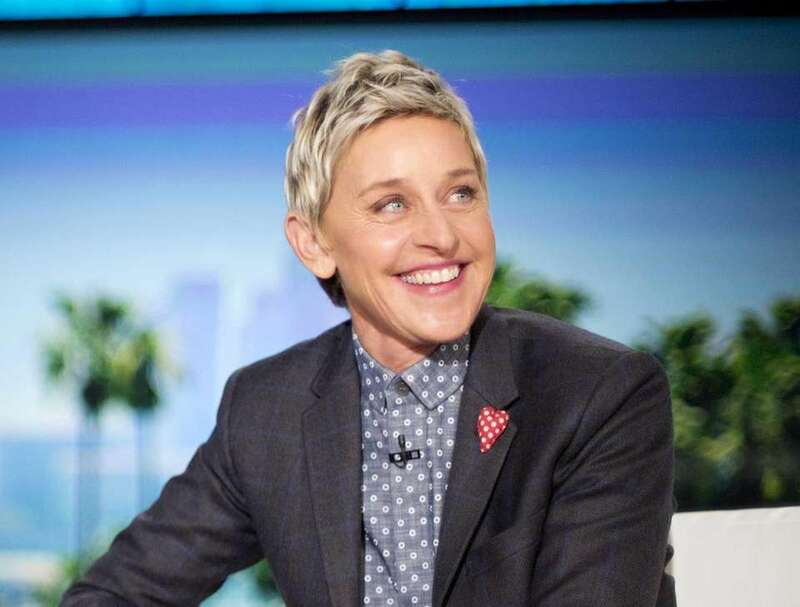 TV show host Ellen DeGeneres gave praise to presidential candidate Hillary Clinton when she had her on her show in May 2016. "You know what a supporter I am," DeGeneres told Clinton on her daytime show, "Ellen," "I think that you're as smart as can be, I think you are qualified, I think you stand for everything that I want in a president. " Elizabeth Banks' jokes fell flat at the Democratic National Convention on Tuesday night. Elton John appeared alongside Katy Perry at Radio City Music Hall March 2, 2016 at a fundraiser for presidential candidate Hillary Clinton. "This is a very important year for America. 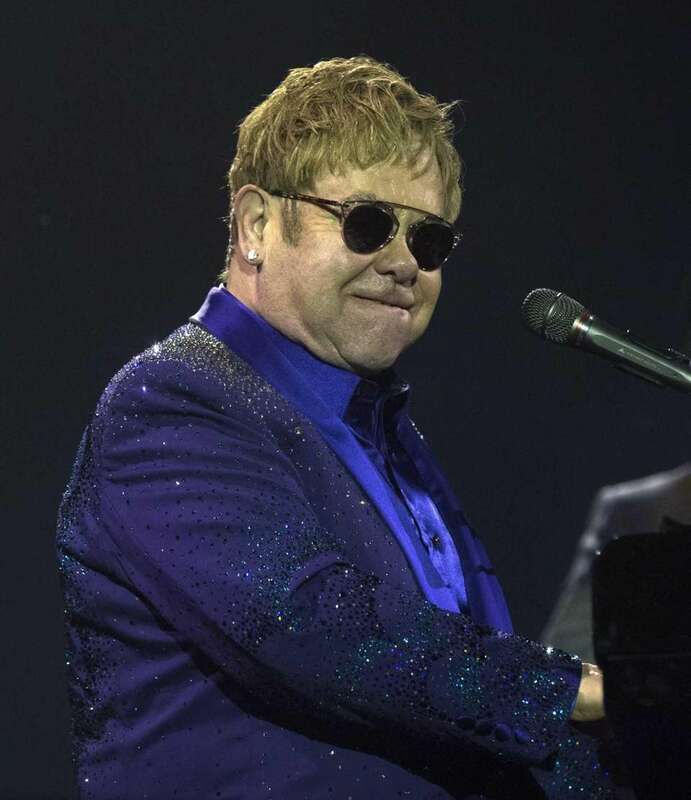 And she's the only hope you have," Elton said, according to The New York Times. Katy Perry joined both Hillary and Bill Clinton at a rally in Iowa, performing several songs, including "Roar," according to People.com. Perry also appeared at Radio City Music Hall in Manhattan on March 2, 2016, to sing Clinton's praises, dedicating her song "Unconditionally" to Clinton. "I sing this next song for her because I do believe this woman shows unconditional love," said Perry, according to abcnews.com. Lady Gaga took to Instagram in June 2015 to voice her support of Clinton, posting a photo of herself in an American flag-print bathing suit along with the caption, "#HILLARY2016 VOTE for the 1st female US president in history. This country could use a little rock 'n roll." 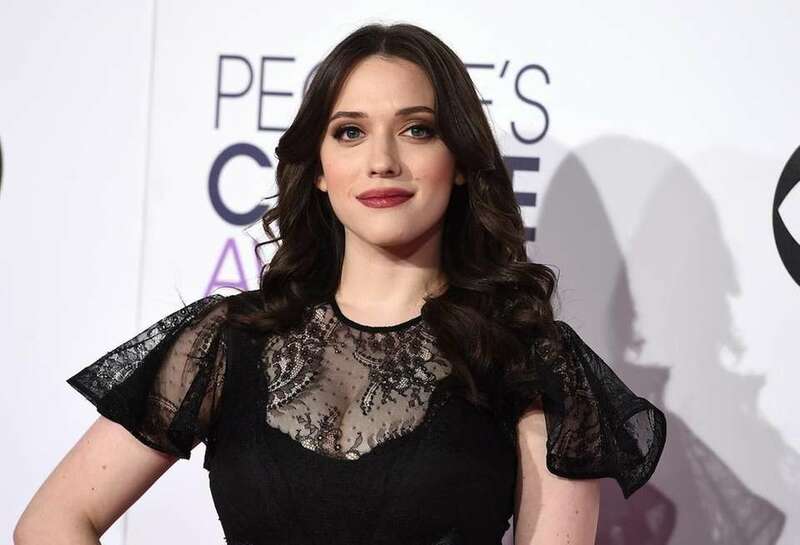 "2 Broke Girls" star Kat Dennings likes to keep things short and sweet, simply tweeting out "Hillary" along with a heart and American flag emoji following Clinton's presidential bid announcement in April 2015. Actor Bryan Cranston voiced his support for Clinton an interview with Politico, saying, "I'm invested and interested in Clinton . .I'm excited to see what she can bring to her platform." Yet, when asked who he would most like to play of the 2016 candidates, Cranston replied Ben Carson. Angela Bassett told Larry King in March 2016 that Clinton would "make a great president -- bar none." Drew Barrymore joined forces with Clinton and her daughter, Chelsea, in December 2015 to help host a Family Holiday fundraiser. 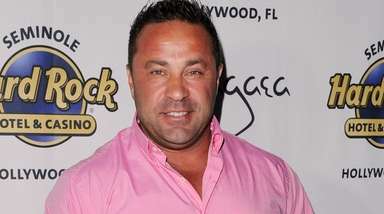 According to People.com, tickets for the event ranged from $250 to $2,700 per family. Katie Holmes and daughter Suri also attended. 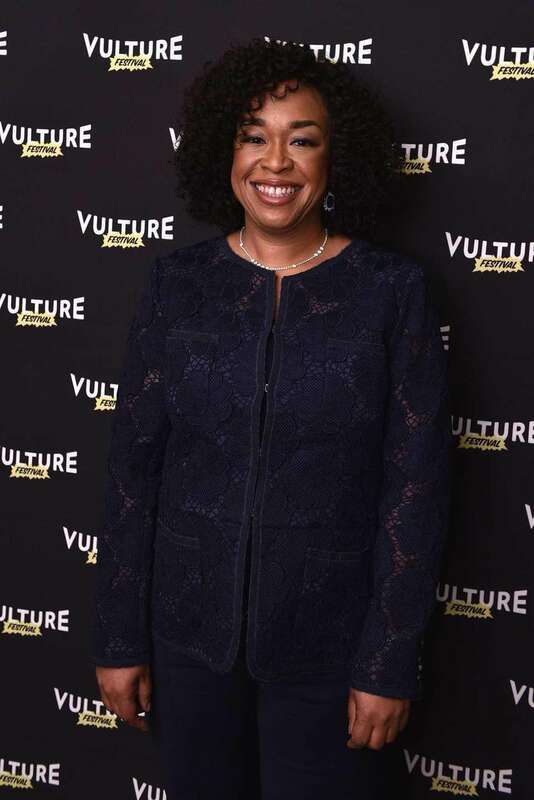 "Scandal" and "Grey's Anatomy" creator, writer and producer Shonda Rhimes voiced her support for Clinton in a video released by the Clinton campaign in March 2016. The video also features stars from Rhimes's #TGIT lineup, including Viola Davis, Ellen Pompeo and Kerry Washington. Rhimes later tweeted, "So proud that I am with her because she is with US," along with a link to the video. 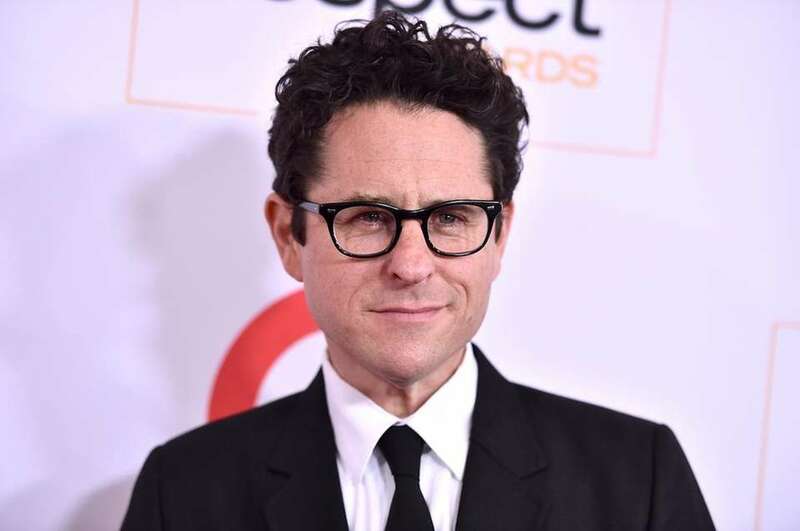 "Star Wars: The Force Awakens" director J.J. Abrams told The Daily Beast that he is a Hillary Clinton supporter. Abrams and his wife each donated $500,000 to Clinton super PAC Priorities USA. 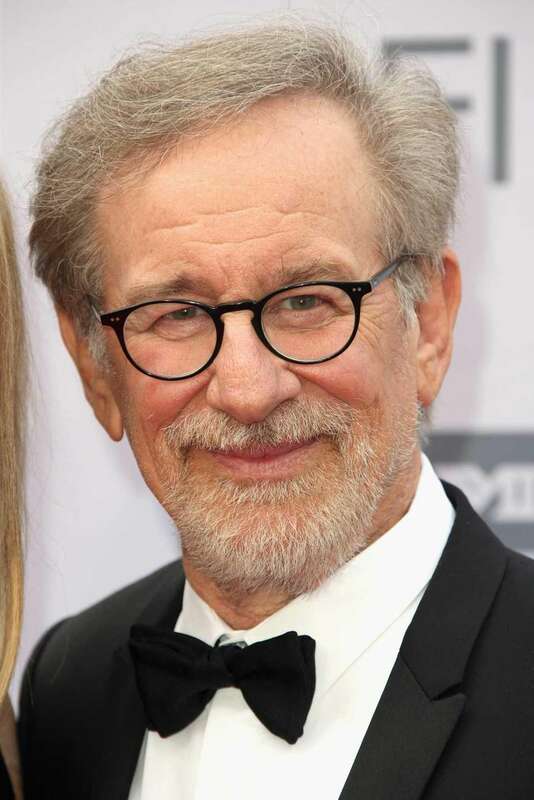 Director Steven Spielberg has donated big money to Hillary Clinton's presidential campaign. According to the Los Angeles Times, he has donated $1,002,700, making him one of her biggest donors. Eva Longoria told "The View" she was a Hillary Clinton supporter before going on to campaign for her in Nevada. 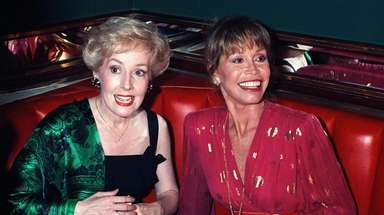 The politically active star even later cut her honeymoon short to attend a Clinton fundraiser in Los Angeles, according to ETonline.com. Scarlett Johansson has been a longtime supporter of Clinton, telling Harper's Bazaar in 2013: "I think Hillary Clinton would make a wonderful president. I think we could only benefit from having someone in office who has been a mother; women have a different perspective and appreciation of humanity because of that maternal instinct. 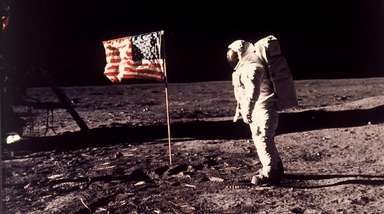 It can only be a step forward." "Scandal" star Kerry Washington took to Instagram in February 2016 with a photo of herself and Clinton. She confirmed her support for the candidate with the caption, "a good friend came by set today. Proud to say ... #imwithher." Actress Olivia Wilde expressed her support for Hillary Clinton and shot down Clinton's criticizers, telling the Daily Beast, "It's pure sexism. This [expletive] about her not seeming 'warm' enough is pure misogyny." Wilde has also come to Clinton's defense several times on Twitter. 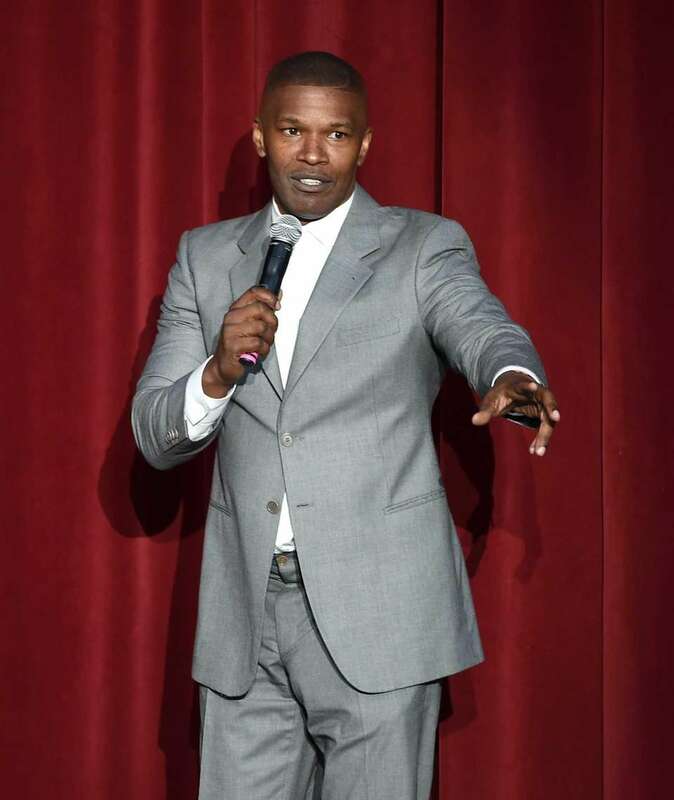 Jamie Foxx has expressed his support for Hillary Clinton, appearing as the opening talent at a Radio City Music Hall fundraiser for her campaign on March 2, 2016, according to CBS News. Here, Foxx speaks onstage during the "Hillary Clinton: She's With Us" concert at The Greek Theatre in Los Angeles on June 6, 2016. Samuel L. Jackson told the Hollywood Reporter in December 2015 that he would be voting for Clinton saying, "I'm forever a Democrat, you know, and I'm gonna vote for Hillary." "Wild" actress Reese Witherspoon has contributed $2,700 to Clinton's campaign, according to the Los Angeles Times. Julianne Moore tweeted her support of Hillary Clinton in January 2016, writing, "If you're with @HillaryClinton, let her know. Commit to vote today! #ImWithHer." 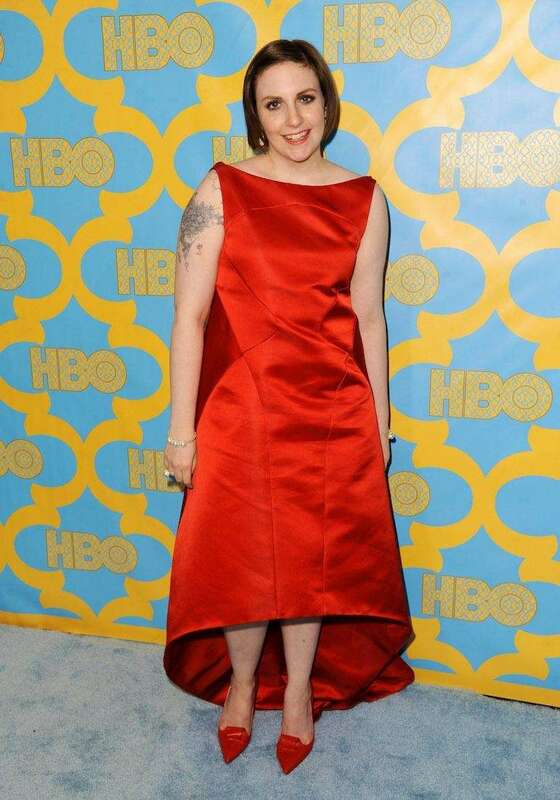 Lena Dunham has been an active supporter for Clinton, joining her on the campaign trail and speaking on her behalf. In early 2016, she penned an article in Time magazine, explaining why she supports Clinton. "In a million ways, for women and girls in every walk of life, Hillary does the damn thing," Dunham wrote. 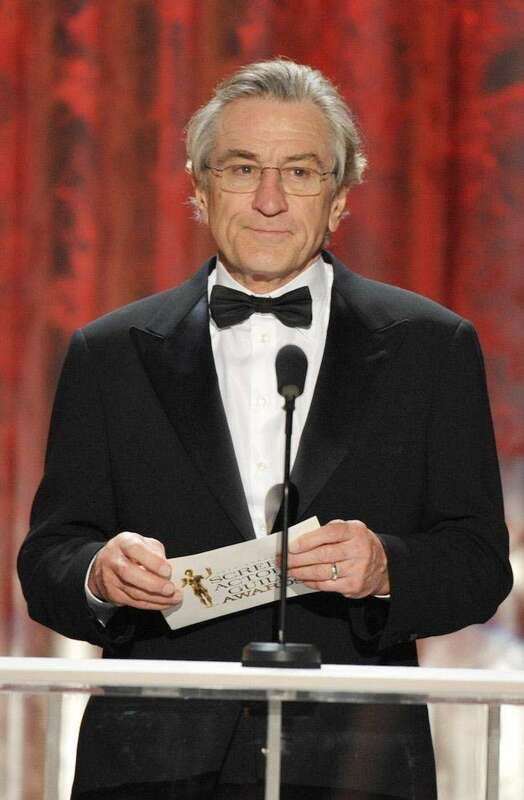 Robert De Niro expressed his support of Clinton to The Daily Beast in 2015, saying, "I think that she's paid her dues. There are going to be no surprises, and she has earned the right to be president and the head of the country at this point. It's that simple. And she's a woman, which is very important because her take on things may be what we need right now." 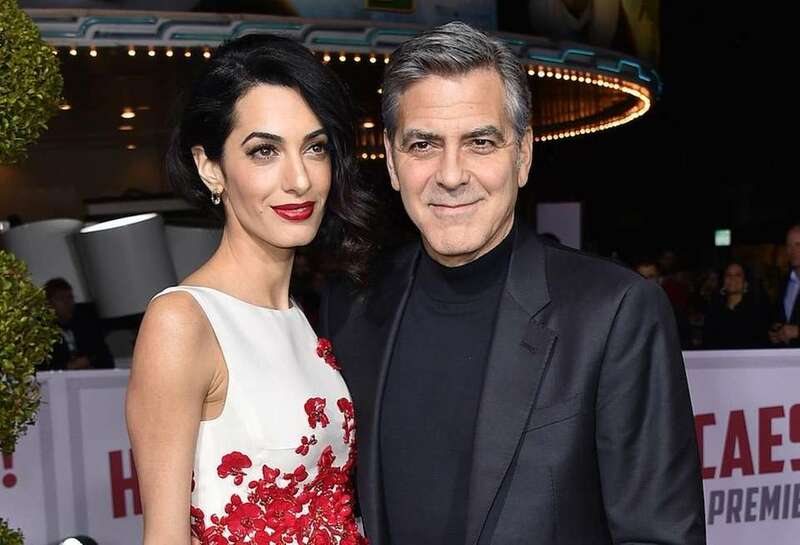 Couple Amal and George Clooney co-hosted a fundraising dinner for candidate Hillary Clinton at their Los Angeles home, according to variety.com. Clinton was in attendance at the event where tickets cost $33,400 per person. The Clooneys contributed $50,000 that night. NY celebrity presidential campaign donorsFrom Tony Bennett to Bethenny Frankel, the list of famous New York State residents who have donated to the presidential campaigns is a long one. Celebs you might see on your 2020 election ballot The 2020 election could be pretty interesting. Celebrities against Hillary ClintonWho's not "with her"? MLK's niece, 25 more of Trump's notable supportersBusinessman-turned-president Donald Trump is exactly what America needs, according to celebrities from Charlie Sheen to Teresa Giudice.